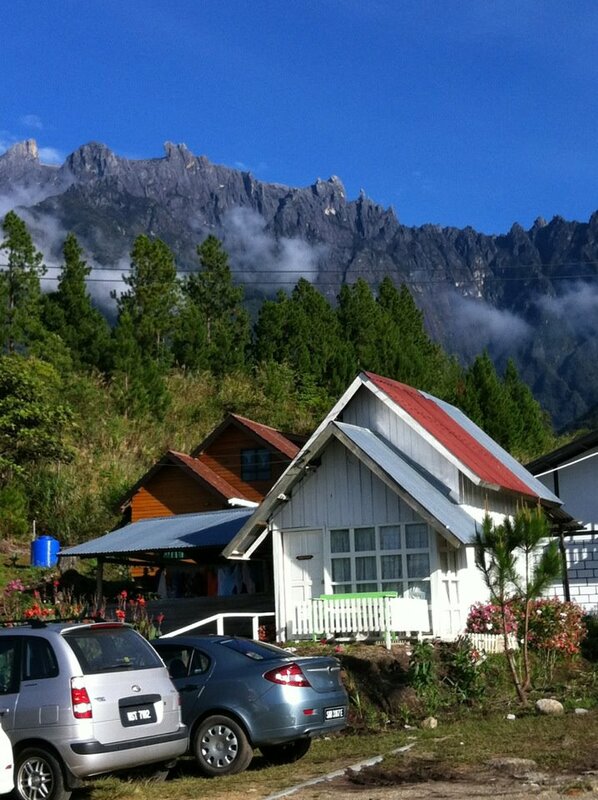 Due to the unimaginable HIGH request for more info about my Kundasang trip, I present to you, Kiram’s Village Chalet. 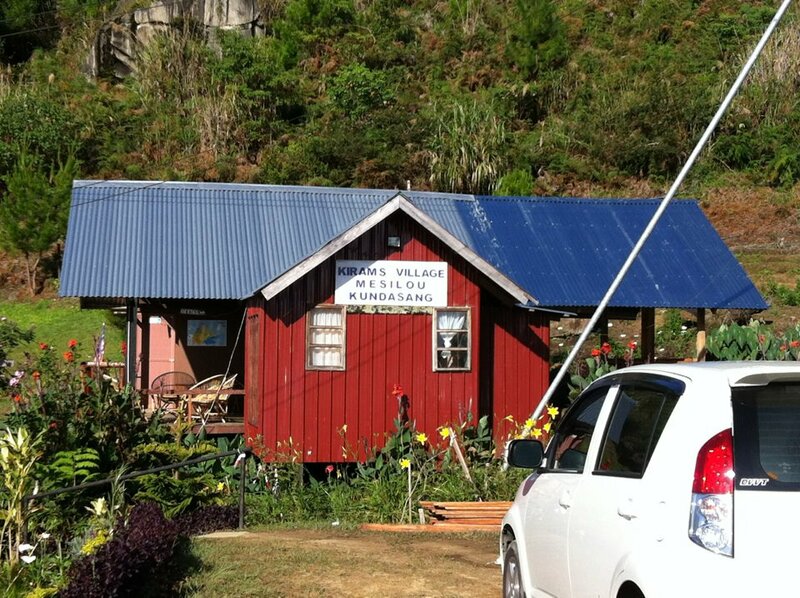 Kiram’s Village Chalet is located at Mesilau, somewhere near Desa Cattle Farm and Kinabalu Golf. It was a 90 minutes drive from KK town. The road was unkind to small cars but a few Myvies and Kancils did passed through. I wanted a homey feel to the vacation location so I choose Kiram’s Village Chalet. If you want to know more, just click on this link. 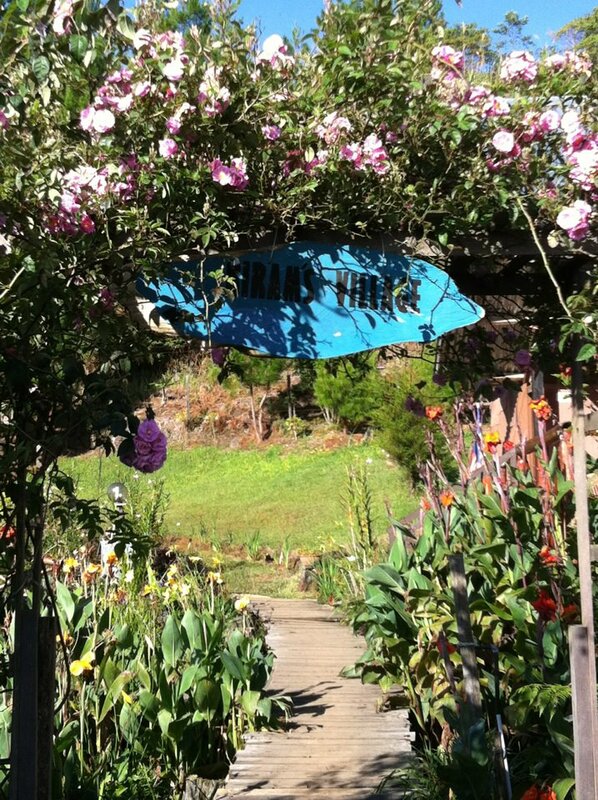 This place is really gorgeous, it looks like the Shire (Frodo Baggin’s kampung). Breathtaking I tell you. It’s a wonder to sore eyes. What you need to bring? The place is equiped with all your kitchen needs. I brought cooking oil, beras, eggs, maggi, roti, canned food, frozen food… Yes, there’s a small cafe and they will be able to cook something up for you. There’s sabun inside the bathroom but shampoo is not provided. Bring your own, that is, if you dare to wash your hair. The water is COLD. There’s water heater but I think because the water is too cold for a normal conventional water heater. Don’t even start asking about the water in the kitchen. You might end up having frostbites after washing a few plates (yes, I’m overreacting but yes, the water is really cold!). Astro decoder is provided, but you’ll be charged RM20 if you use their Astro card (family and sports only). I brought my own card. Bring a good book to read and also, if you plan on surfing the net, only Celcom 3G is available. Digi and Maxis lines are available but no 3G. At night, the sky just light up with a few millions stars. I tried counting them, but managed to do it up till 5 only. What to do in Kundasang? Visit the War Memorial (just 10 minutes away from Kiram’s Village), Desa Cattle Farm (5 minutes away. 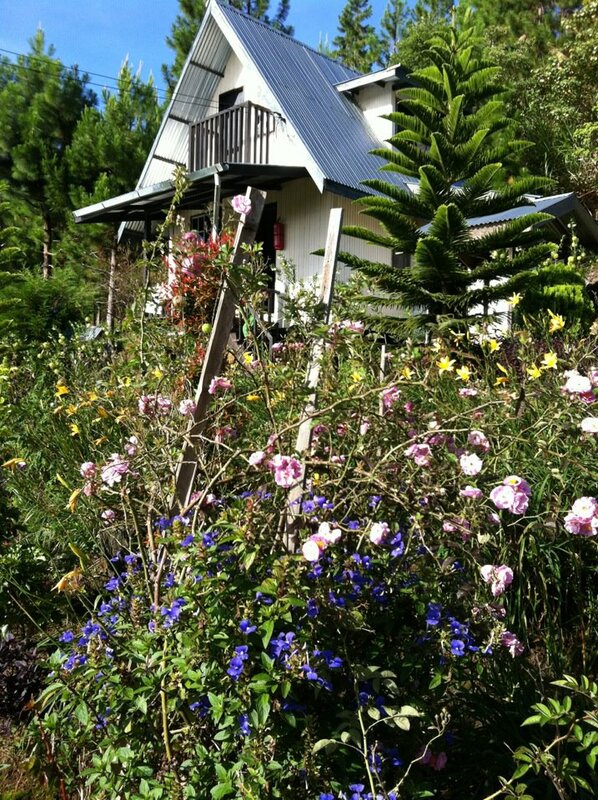 The place stinks but if you want to perasan you went to New Zealand, that’s the place you want to be), Sabah Tea Garden (too far me thinks. 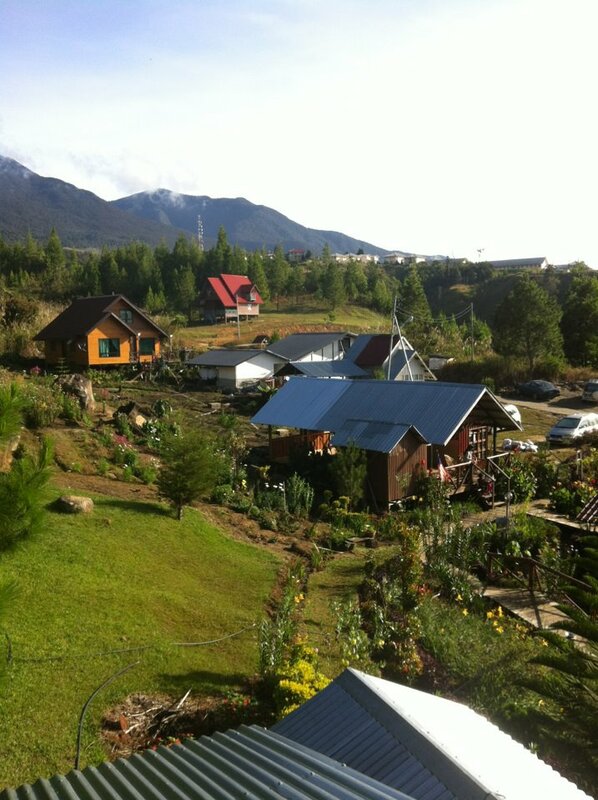 About 1 hour drive from Kiram’s Village and nothing much to do there), Poring (hot spring), Sungai Moroli (natural fish spa! ), and a MUST see is the Mesilau Nature Resort (runs by Sutera Harbor Resort Group). The place is so awesome, I felt like I was in Forks and Edward Cullen was about to swoop me up to one of the pine trees. Some of the cabins, you literally have to CLIMB to reach. 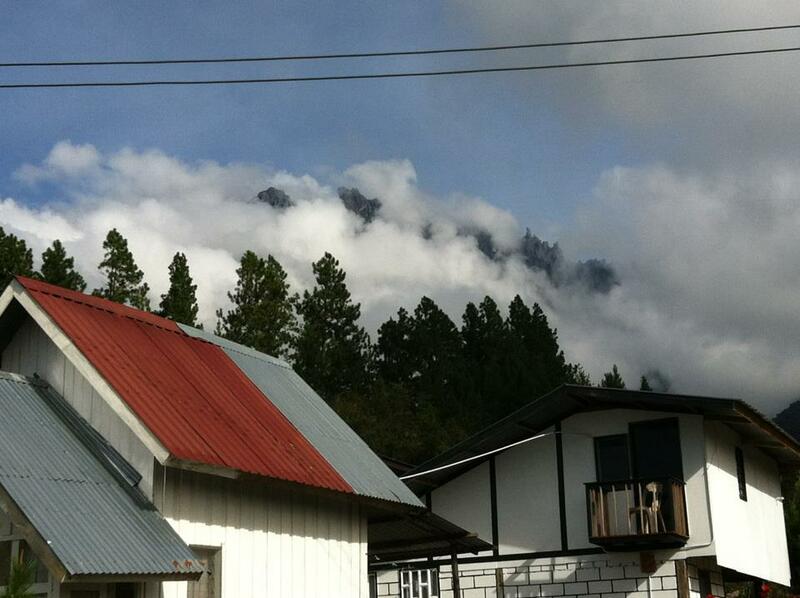 The peak of Kinabalu is so near, you might strain your neck looking up to it. BEAUTIFUL! But if you want to take nice pictures, Kiram’s Village is the best place to be. So friends, start planning your trip here. No need to pay much on the air ticket to experience cooling weather and out of your mind gorgeous view. Malaysia pun ada jugak. Stop saving to go to Switzerland, start saving to come to Sabah. See you here people! Especially dedicated to my heart and soul; Khadeeja, Ameena & Maryam, I waited for you what felt like a thousand years, I have loved you what felt like a thousand years, and I love you for eternity.